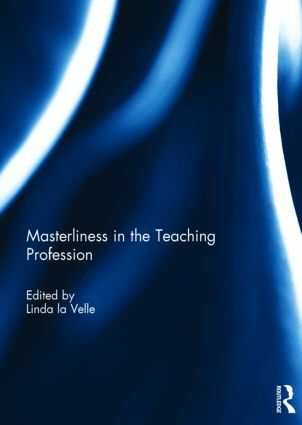 This collection presents an international perspective on issues of training and accreditation at the Master’s level of course provision in the initial and continuing professional development of teachers, coining the phrase ‘masterliness in education’. It provides a comparative background to inform the debate about the level at which teachers’ knowledge bases make them most effective in terms of both pedagogic expertise and pupils’ outcomes. The book examines and illustrates the relationship between master’s level education and professionalism through the lenses of reflective evaluation, narrative inquiry and critique. Discussion of issues of professionalism and acculturation of teachers exemplifies the tension that arises in modern educational systems across the world between teacher accountability and teacher autonomy and argues that masterliness in education can only be acquired through the professional freedom afforded by teacher autonomy within empowering frameworks of professional development. Several chapters deliberate the relationship between the roles of schools and higher education institutions in both initial and continuing teacher education at master’s level, providing argument and evidence to show that this partnership is crucial to the effectiveness of the professional development that supports improved outcomes for learners. This book demonstrates that masterliness in education, an aspiration of initial and continuing teacher education internationally, is a state of advanced professional critical thinking linked to action and informed by research and evidence. Through the exercise of this criticality teacher empowerment, expertise and autonomy increase as masterliness develops. There is considerable convergence in the provision of these elements of Masters’ level courses internationally, and this enables the debate to highlight good practice and to exemplify those essential characteristics of masterliness in teaching that lead to the continued improvement of learning in the world’s schools. This book was originally published as a special issue of Journal of Education for Teaching. Linda la Velle is Professor of Biology in Education at the Plymouth Institute of Education, Plymouth University, UK. Her research interests are in the areas of teacher education and professional development in general and science education (new technologies and ethical issues) more specifically. Although her background is in secondary education, she firmly believes that pedagogic issues and enquiry span the educational phases and transferability is the key to research-based improvement of outcomes for all learners, through the life course. Recent research includes the HEFCE-funded Action on Access project (2009-10); Comenius Regio-Funded projects (2011-13) with UK school partners: Active Inclusion for Sustaining Communities (with the Ministry of Education in Cyprus) and Towards the development of deeper learning and transferable lifelong skills through the use of European Key Competencies (with the University of Santiago de Compostela in Spain). Projects for 2013-14 include a further Comenius project with Devon County Council and Santiago: Improving attitudes and learning in a second language through the increased use of ICT. Publications since 1987: 4 authored books; 6 book chapters; 10 official reports; 27 papers in international refereed journals; 33 international conference presentations/papers.